Our mission is to reach as many youth as possible, helping to teach them one-by-one, the importance of setting goals for themselves while striving to work hard and stay focused. During this process they will learn the value of giving back to the community what our community has so generously given to them. WYC, known as the “Biggest Little Circus in the World” is one of several non-professional groups presently performing in the United States. The show includes many professional quality circus acts, including: high wire, flying trapeze, fire acts, and aerial acts. WYC has no animal acts. WYC is undeniably one of the four top nonprofessional troupes in the nation. Over the years the circus has played to audiences totaling over two million people in the western states from California to Alaska and in Canada as well, averaging 12,000 miles a year. The show has been so well received that many bookings are repeat datings, often made on the spot. Performing to crowds up to 1,000 members, WYC has traveled the Pacific NW for over 60 years. Our performers work year round to perfect their acts and wow the crowd of circus lovers from small children to elderly viewers. We are fun for the whole family, including kids of various ages, who are often inspired by our show performed by, "kids just like you." Our alumni have gone on to professional circuses, including the Wallenda Family, the Joseph Ashton Family Circus in Australia, Ringling Brothers, Cirque du Soleil, and our kids cross train with other youth circus organizations such as the Sarasota Youth Circus in Florida. We have fans in locations where we perform every year who come back to see the new show each season. Often kids come and see our show and return with friends or family for additional shows when we are part of a fair, festival or event. Some of those kids become part of our show and travel from all over the state of Washington to perform with us. We use our show to promote charitable causes. Last year, we raised over $1,500 to help local fire victims, and we recently raised funds for Ladybug House for terminally ill children in Seattle. A field big enough to accommodate us: this is often a soccer, football, or baseball field. Our dimensions are approximately 200 feet by 200 feet. (a.) Toilets or Portalets/Porta Potties (including a wheel chair accessible facility) in the immediate vicinity of grounds. These must also have a sanitizer dispenser in each sani-can. Maintenance of these sani-cans must be daily. (d.) Potable Water outlets that are accessible by 400 feet or less of hose. (e.) Electricity: 50amp service. We do have the ability to run a generator with some expected noise impact as it will run 24/7 during the length of our stay. Paul K. Pugh’s consummate skills as a leader and with his coaching inevitably brought about the addition of an ever-growing list of acts. The nature of the group was such that each member worked continually for improvement under the inspiration and enthusiasm of their coach. After he retired from his position as principal of Orchard Junior High, he continued to devote endless hours to the circus. 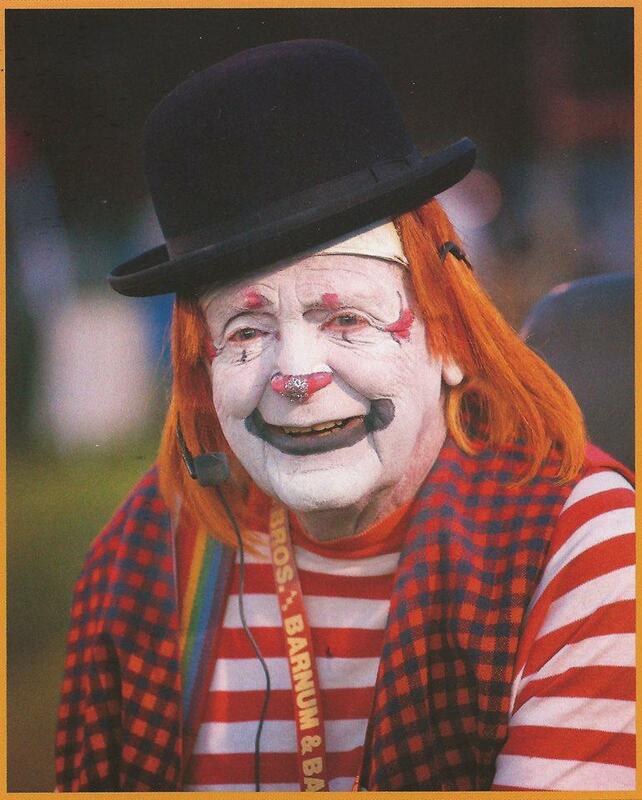 While Paul Pugh passed the winter of 2016, the spirit of Guppo the Clown lives on in every performance of the circus he founded. 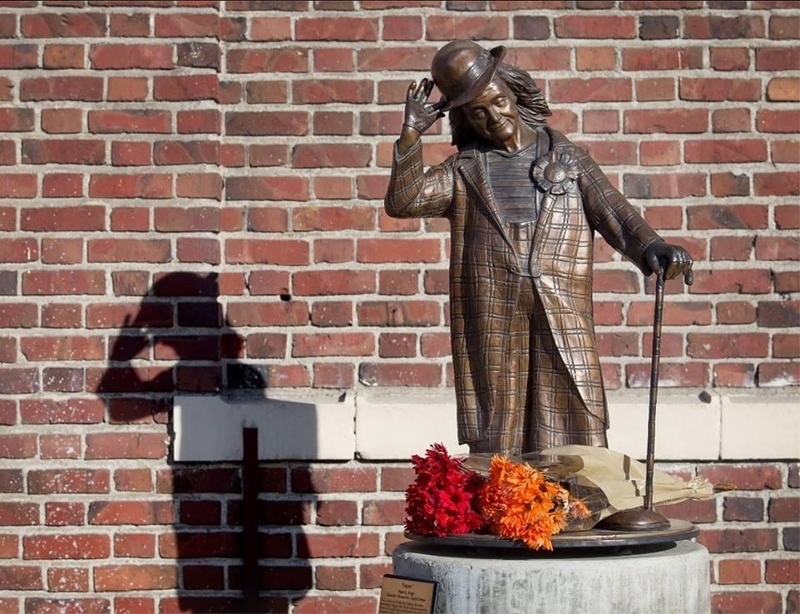 He was, in fact, the circus, and it is in his honor that we carry on the tradition he began.